Ravindra Jadeja has just picked up his 100th IPL wicket and has gone on to become the first left-arm spinner to achieve this milestone. He got this in the game against the Rajasthan Royals at Jaipur when he picked up the important wicket of Steve Smith. He has been a great asset for the CSK bowling reliable overs through the middle overs as well as providing the required balance with the bat. After Jadeja, the other left-arm spinners who have been successful are Pragyan Ojha with 89 wickets, Axar Patel with 64 wickets and Shakib Al Hassan with 58 wickets. Here is the moment after he got his 100th wicket. This page contains news relating to various facts and events. The views are generally about current affiars and general topics in diversified areas such as political, international, national, and regional issues, sports, health, travel, lifestyle, technology and business. People having similar interets on the above topics will find this page useful. 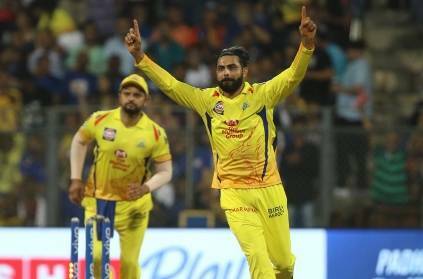 Ravindra Jadeja gets his 100th IPL wicket | Sports News.